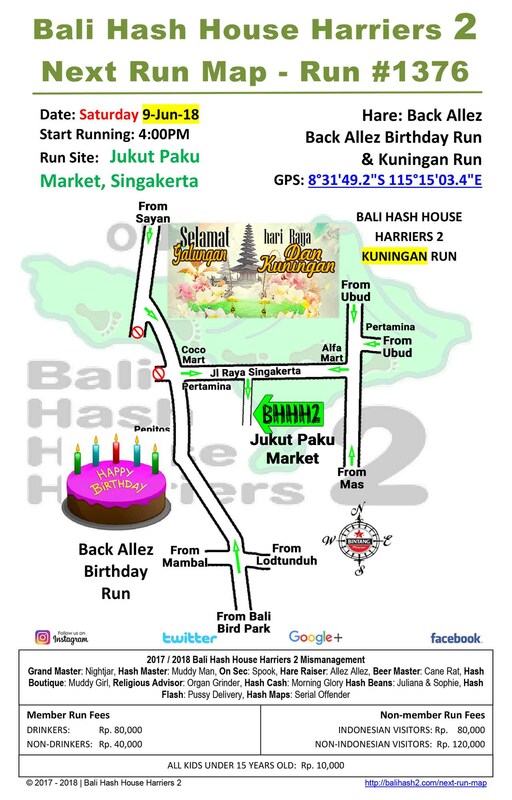 Last week was another great run in paradise with Bali Hash House Harriers 2 at Bukit Jati. We apologize that the run site moved slightly at the last minute from the Bukit down to Water Boom. But it seems everybody found the run site as we had just under 100 runners in attendance with a few virgins to boot. The short was a perfect 6 or so KM trek, mostly flat but with a few ups and downs and a small water crossing. The long was around 10 KM and had a few more ups and downs thrown in for good measure as well as some additional water features.